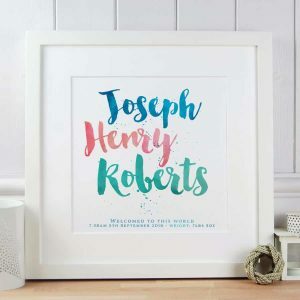 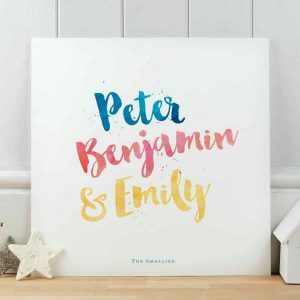 A stunning name print produced in a handbrushed font and rainbow watercolour ink effects. 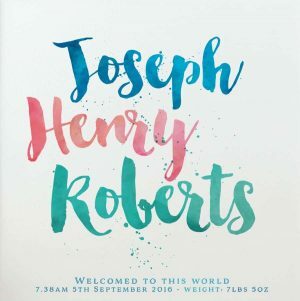 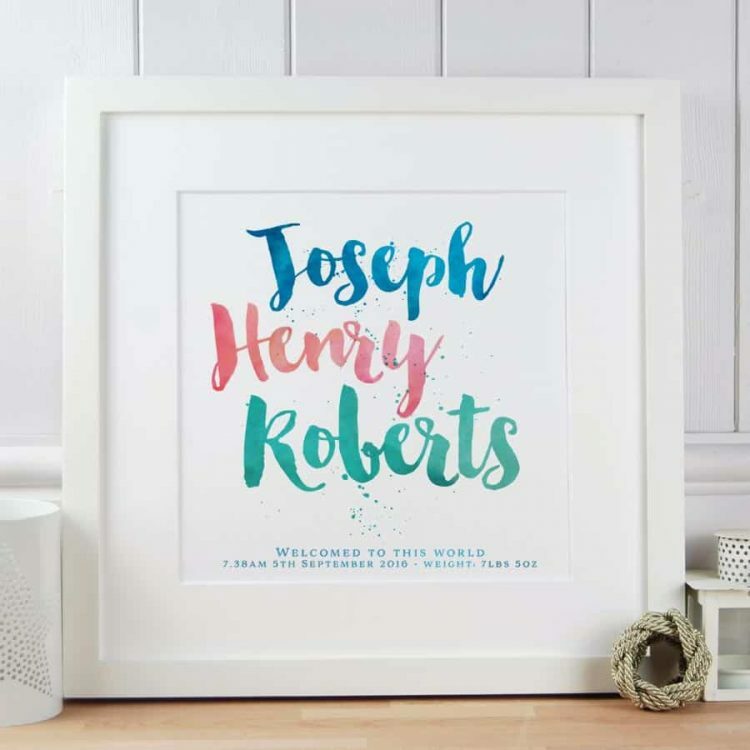 Makes a great Baby gift or Christening gift – just add time, date of birth, Christening date or personal message to the bottom of the print. 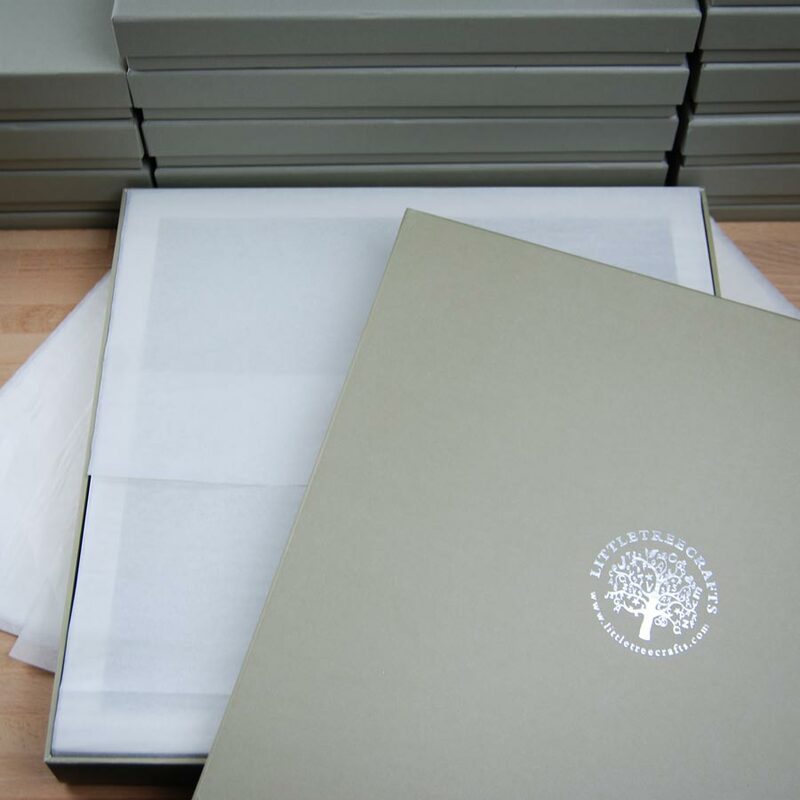 Printed on 300gm acid free off-white Artists watercolour paper and comes with an off-white mount. Frame also available (+€25). Just fill in the names, you can add up to 3 names (first, second and surname) and personal message for the bottom of the print (if required). 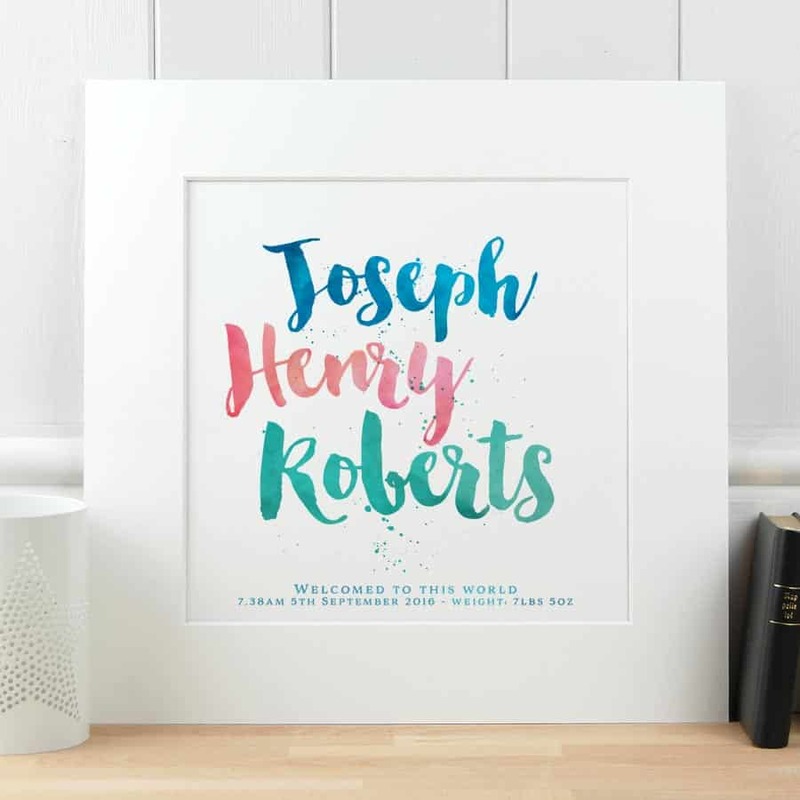 Or you can add any text you like instead of names, like a short saying or quote.